This is a box flat to the C-3PO Storage Case. 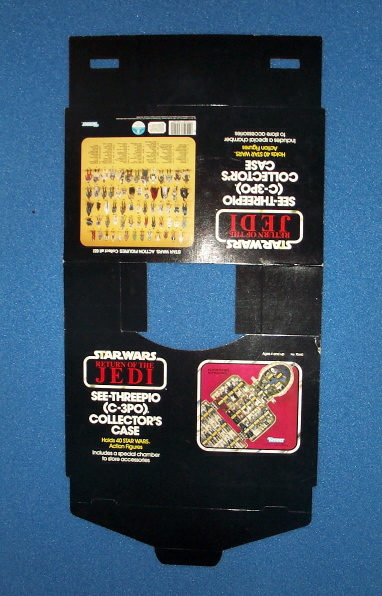 The case was only produced in Return of the Jedi packaging as shown by this image. Production samples were folded several times along the base of the toy.